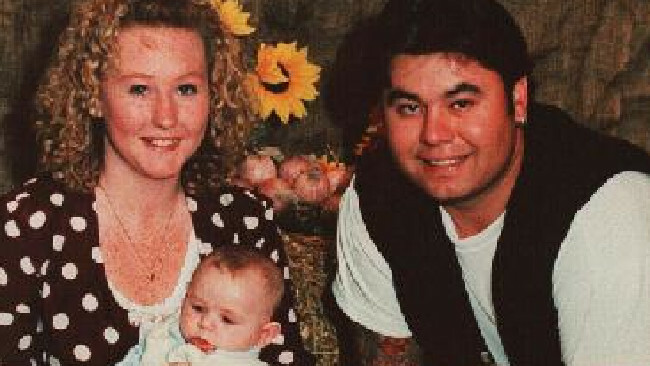 STEVE Fesus not only murdered his teenage wife in 1997 when her two toddlers were also in their NSW family home, but he's managed to convince them, to this day, that he's innocent. 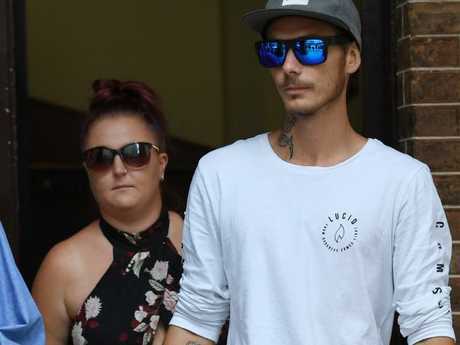 "Although they may have difficulty accepting it as a fact, it is the case that Kimberly and Dylan were deprived of the love and nurturing of a mother whom they never knew," Justice Peter Johnson said in the NSW Supreme Court. "This was because the offender murdered Jodie so many years ago and has deceived the children since then as to what, in truth, happened to their mother." Justice Johnson on Friday jailed the former bouncer for 22 years with a non-parole period of 16 and a half years. 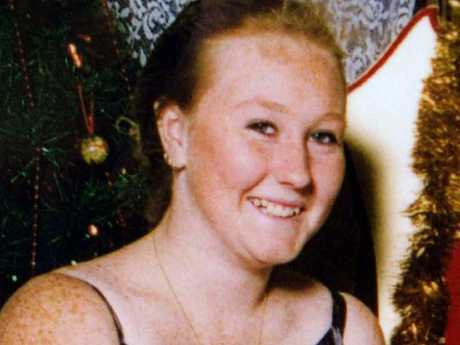 Fesus, now 47, was found guilty last year of murdering Jodie Fesus, 18, on August 11, 1997 at their Shellharbour home on the NSW South Coast before burying her body in a shallow grave at Seven Mile Beach near Gerroa. "The murder was callous and selfish and deprived Jodie of her adult life and her children of their mother," the judge said. Kimberly, now 22, and Dylan, now 21, were raised by Fesus and had "spoken positively" about him in letters previously provided to the judge. Outside court, Jodie's father, Roly Smith, said: "Jodie was murdered and we have lost kids that are still alive." Jodie's relatives have seen photos of her children - Dylan, who was fathered by Fesus, and Kimberly, who had another father - in the past and saw them in court on Friday. 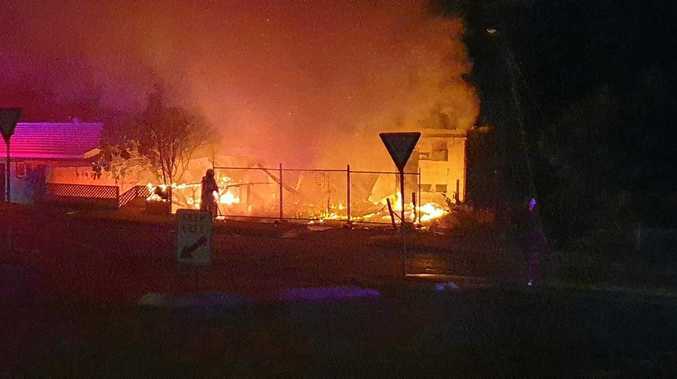 "How would you like your grandkids to walk past you and they don't acknowledge you," Mr Smith said. 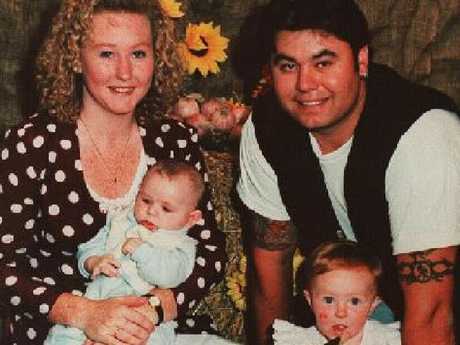 The childrens' aunt, Belinda Wright, said although they were her sister's children they weren't brought up by Jodie. "They have decided they don't want anything to do with us," she told reporters. Justice Johnson concluded Fesus had "wreaked havoc upon the entire family". He found Fesus strangled or choked his wife to death during a heated argument when Kimberley, then 22 months, and Dylan, then 11 months, were in the home. After being married for only three months, she was unhappy in the relationship, suspected her husband of having an affair, and told him she was going to leave him and take the children. In a "savage and homicidal" response, he attacked her before placing her body in their car, burying her at a remote location and maintaining she had disappeared. Weeks later, he made a "significant slip" when filling out government application forms for maintenance child support and a pension. He indicated his wife was dead, not just missing, but promptly corrected this after a clerk commented on his answer. This prompted Fesus to partly uncover the body - so it could be found more easily - and then anonymously call the police on September 14 to reveal its location. The next day Fesus returned to social security, told the clerk his wife's body had been found, and was approved for the payments. Despite the long-term suspicions of Jodie's family, Fesus was not arrested until 2013, after he made admissions to undercover police officers.